Today marks the end of my "electionitis." I am cured! So much to celebrate. Last night's speach by President Obama was truly inspiring. It was the the first time I've felt proud to be an American. The lady will resume her travels abroad (without pretending to be Canadian!). That being said, I couldn't help but notice Oprah was leaning on a strange man. The camera kept showcasing lady O and her date. I unfortunately cannot find an image... Regardless, last night it was distracting! 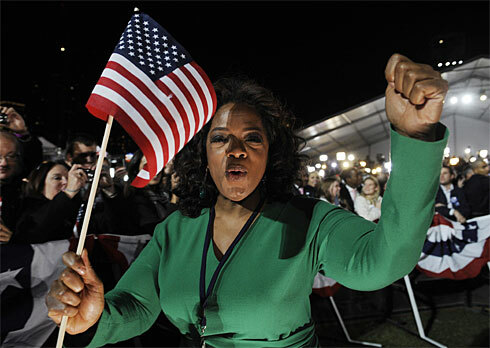 Since Oprah introduces American women to everything under the sun, it was rude for her to show up in such a public forum with an unidentified man. thank you for sharing the informations. The Servis Of ULudag University Magazine.